You can review your roommates at any time through My Profile. 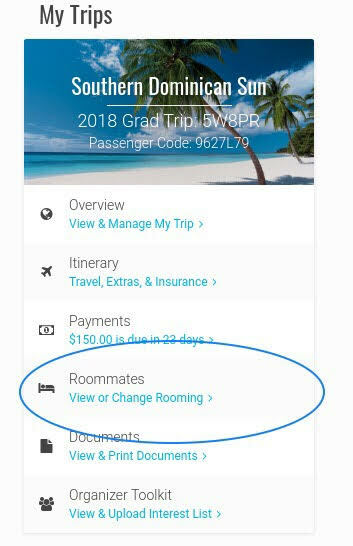 Once logged in, you'll click the Roommates section on the left-hand side. You will see the room type, occupancy, and room number*, as well as the name of your roommates below. If you would like to submit a new rooming request, you can do so here. *This is not your actual hotel room number. You will get your room number when you check in at the hotel.